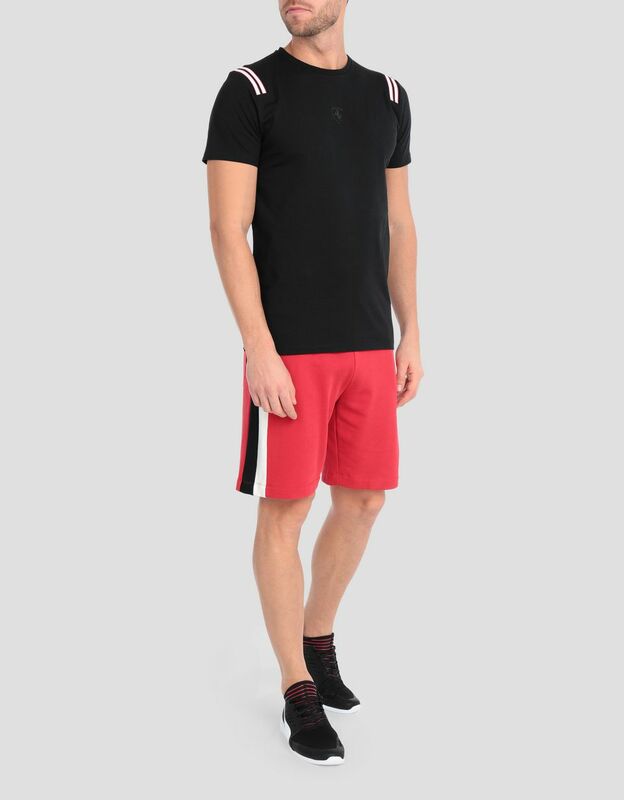 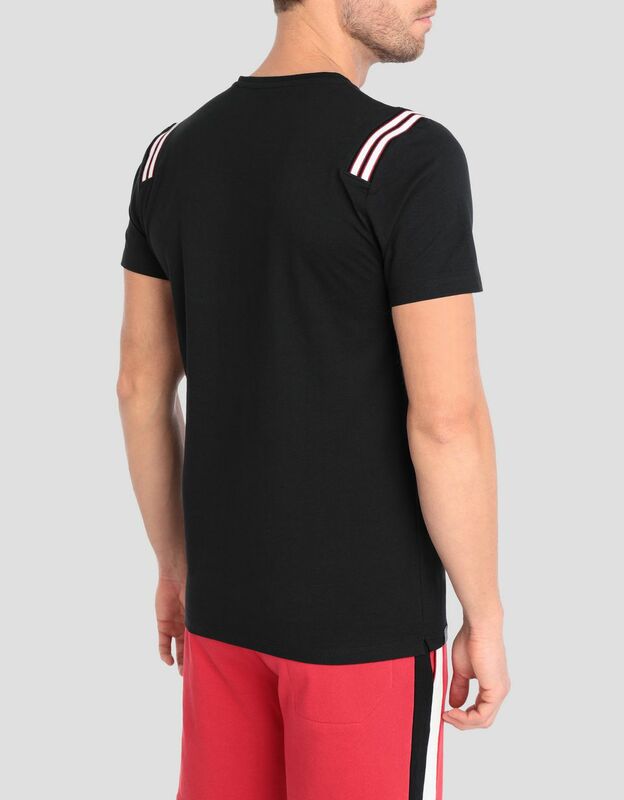 The lines and colors of the stretch jersey T-shirt with contrasting knit inserts are a nod to the liveries of Ferrari racecars. 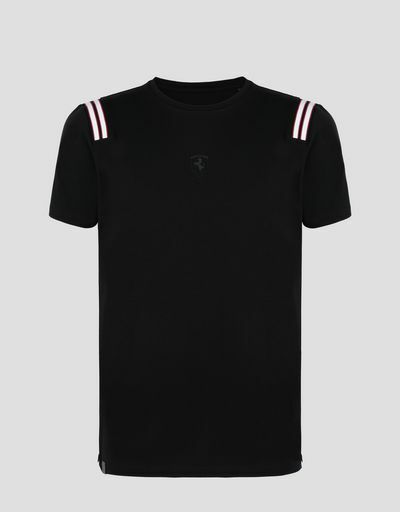 Inspired by Ferrari cars as they race down the track, the contrasting knit inserts define the armholes on this men’s stretch jersey T-shirt. Featuring a classic design and an athletic spirit, the T-shirt is customized with the Ferrari Shield in anthracite. 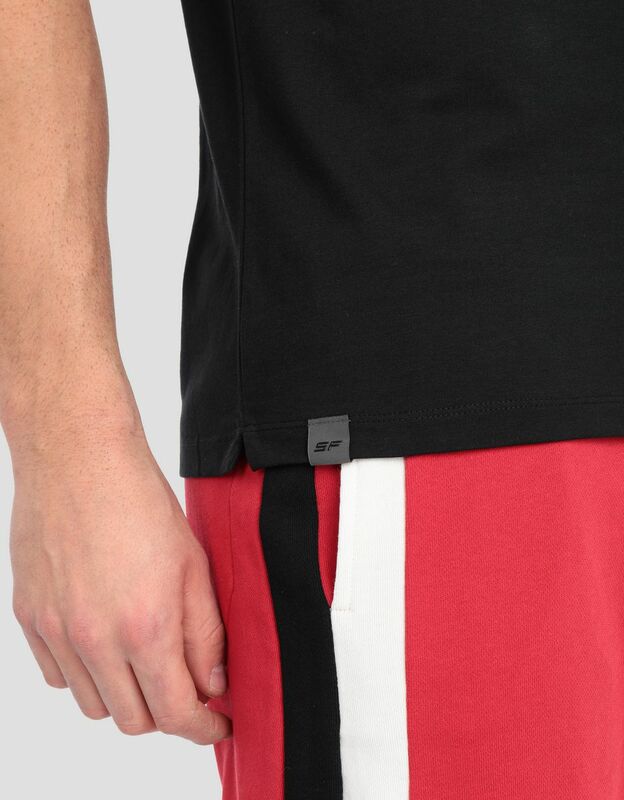 The Scuderia Ferrari label at the bottom hem completes the garment.